Door to door private transfers are available between Wroclaw and Krakow and Wroclaw and Prague. On demand we are able to arrange other transportation from or to Wroclaw. At the moment there is no shared shuttle service operated in Wroclaw. 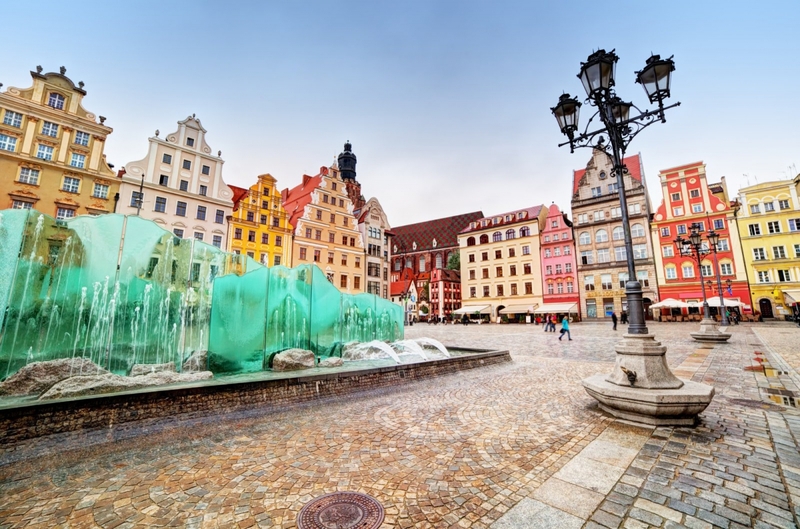 It is possible to arrange a private guide in Wroclaw and incorporate tour of Wroclaw in customized itineraries across Poland and Europe. Wrocław is a city on the Oder River in western Poland. It’s known for its Market Square, lined with elegant townhouses and featuring a modern fountain. Also on the square is the Gothic Old Town Hall, with its large astronomical clock. Nearby is the Panorama of Racławice, a painting depicting the 1794 battle for independence. The Centennial Hall auditorium, with its giant dome and tall spire, lies across the river.